It’s natural to assume that if an album is one of the biggest selling in the world, it was probably #1 in the UK Charts at some point. I Am…Sasha Fierce is the album that made Beyonce a global megastar, spawning massive singles including Halo, If I Were a Boy, Broken-Hearted Girl and Single Ladies. It’s her biggest selling album in the UK, with over 1.5 million copies sold. Despite this, the album only debuted at #10 in the Official Albums Chart when it was released in 2008. It got a small boost up to #9 at the end of the year after Beyonce performed with Alexandra Burke on The X Factor. Eventually, the success of the singles saw the album hit #2 in August 2009, a whole 9 months after it was released. Appetite for Destruction is widely considered to be one of the best rock albums of all time and has sold over 30 million copies worldwide. Yet it only peaked at #5 in the UK charts in 1989 – 2 years after the album was released! That’s because of the Sweet Child O’ Mine effect. The single was initially popular when released in 1988, but blew up on its re-release in 1989. Fortunately for Axl, Slash and the rest of the gang, Appetite for Destruction still sells CDs by the bucketload to this day! The Stone Roses bought Manchester to a standstill when they reformed in 2012, and are renowned for their legendary concerts – including a very famous one at Spike Island. Their self-titled debut is a classic, yet it never actually performed that well. It peaked at #9 in the chart, although a ‘legacy edition’ hit #5 in 2009. More surprising is the performance of the singles from the album. While One Love got to #4, Waterfall only managed to get to 27 and I Am The Resurrection only got to 33. Luckily, like Appetite for Destruction, this album still sells a lot of copies – just not at once! 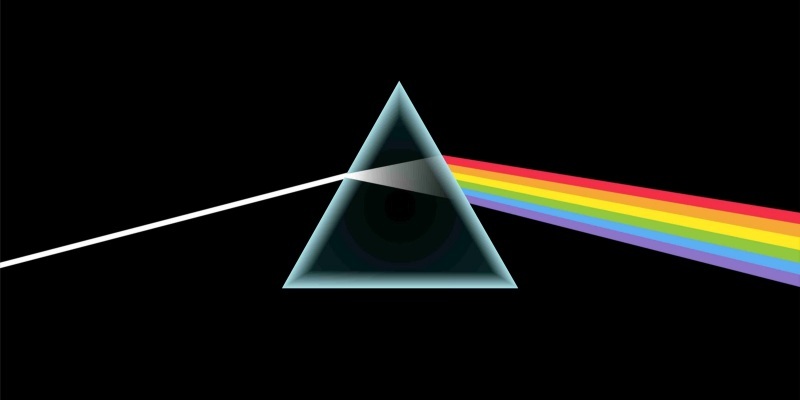 The Dark Side of the Moon is the 2nd biggest selling album in the world, with over 45 million copies shifted. In the UK, it’s the 7th bestselling album of all time. It’s also one of the most influential records ever released. And yet…it only reached #2 in the chart. It was beaten by another legendary album, 20 Flash Back Greats From The Sixties. Bat Out of Hell is the 18th bestselling album of all time in the UK and has been certified platinum 7 times. It’s a stone cold classic of over-dramatic opera rock. Yet it only managed to limp to #9 in the charts in 1978, a year after it was released. Perhaps punks just weren’t that into Two Out of Three Ain’t Bad? Whatever the case, the album managed to hover around the charts for 474 weeks (over 9 years! ), selling tons of CDs through sheer durability. And, in even better news for Big Meat, the sequel went straight in at #1! Can you think of any more chart surprises? Tell us on Facebook, Twitter or in the comments. And remember, you can sell CDs (especially any of the above!) for CASH with musicMagpie!